Eggs are considered to be one of the most healthiest foods. They contain minerals like Calcium and vitamins such as A and B. 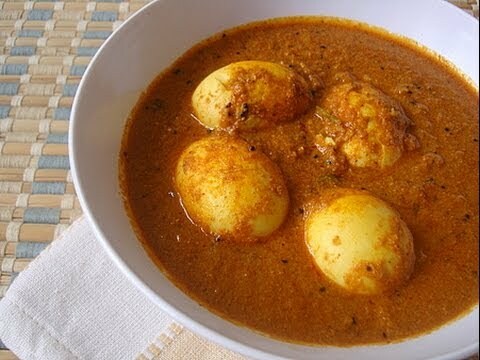 To prepare kodiguddu pulusu, we need to boil the eggs in a bowl of water. After the eggs are boiled remove the shell and make four to five slits with a knife. Now, clean the tamarind and soak it in water. Peel the onions, clean them and chop it into pieces. Now take one more cooking bowl and add 2 - 3 tbsps of oil. Let the oil heat. Once the oil is heated, add mustard, jeera, pulses, dry red chilies, curry leaves and fry them for half a minute. Add the onions to the oil and fry them too for a minute. Now, prepare tamarind juice with 2 cups of water from the soaked tamarind and pour it into the oil and onion mixture and let it boil. After a minute or two, add the boiled eggs to the juice and boil everything for around 15 minutes in a low flame. Add turmeric powder, chili powder, salt and corainder powder at the end and bowl for five more minutes. Add coriander leaves at the end. Note : Kodiguuddu pulusu tastes very good with rice. Sugar or Jaggery may be added for sweet taste. About : Eggs are considered to be one of the most healthiest foods. They contain minerals like Calcium and vitamins such as A and B.
Kodiguuddu pulusu tastes very good with rice. Sugar or Jaggery may be added for sweet taste.